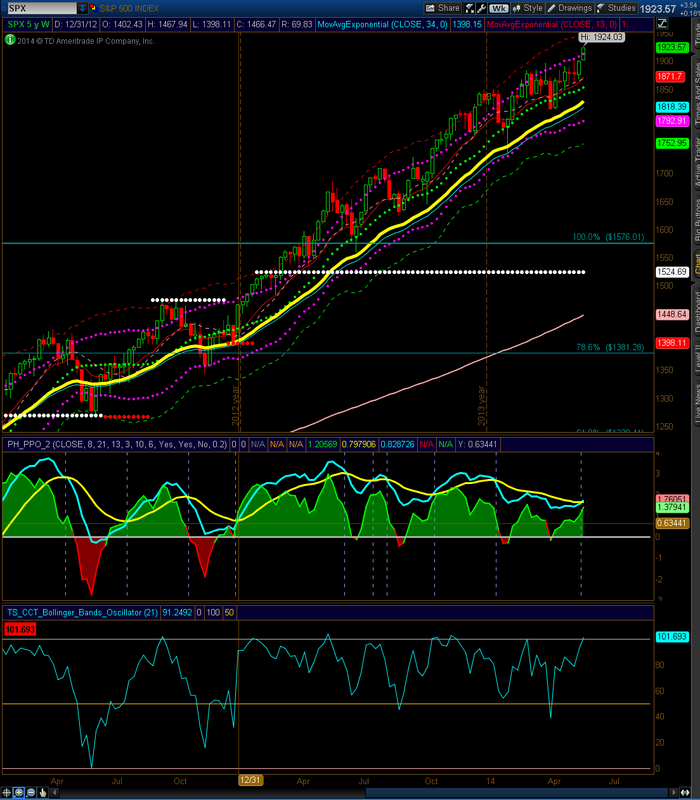 The S&P 500 weekly is showing another strong week. 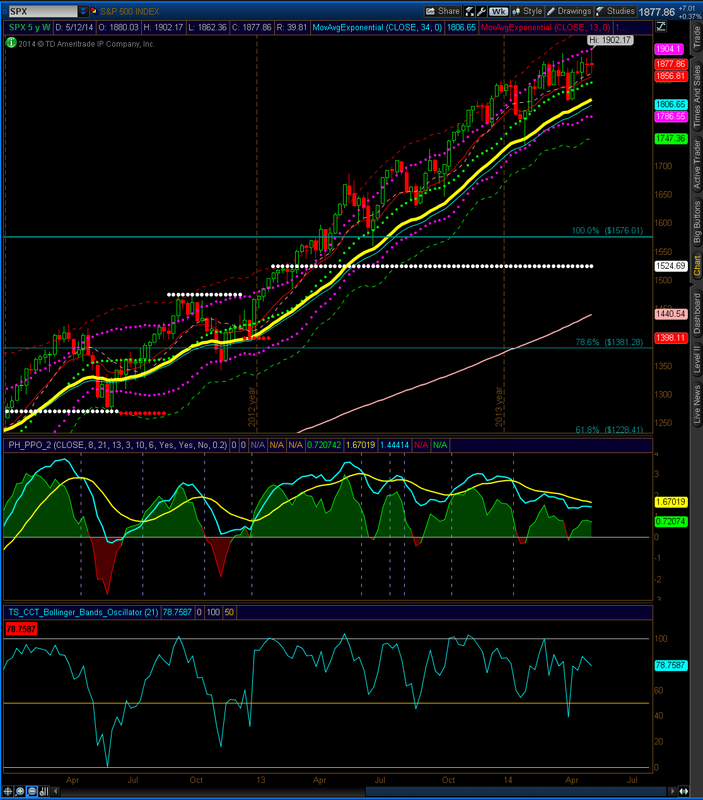 The close above the upper keltner line is a sign of strength. Until the market shows sustained weakness, the weekly outlook remains bullish. 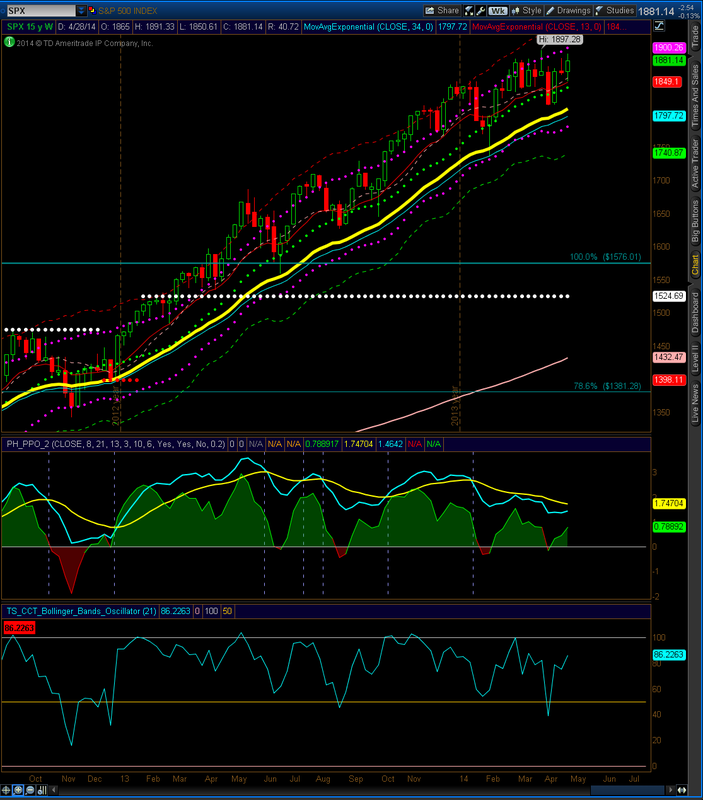 The S&P 500 weekly is showing another close inside of the previous week’s range. The close is almost identical to last week. Until market shows sustained weakness, the weekly outlook remains neutral to bullish. The S&P 500 weekly is showing another close inside of last week’s range. Until a decisive break above 1880 or below 1840 happens, the weekly outlook remains neutral to bullish. 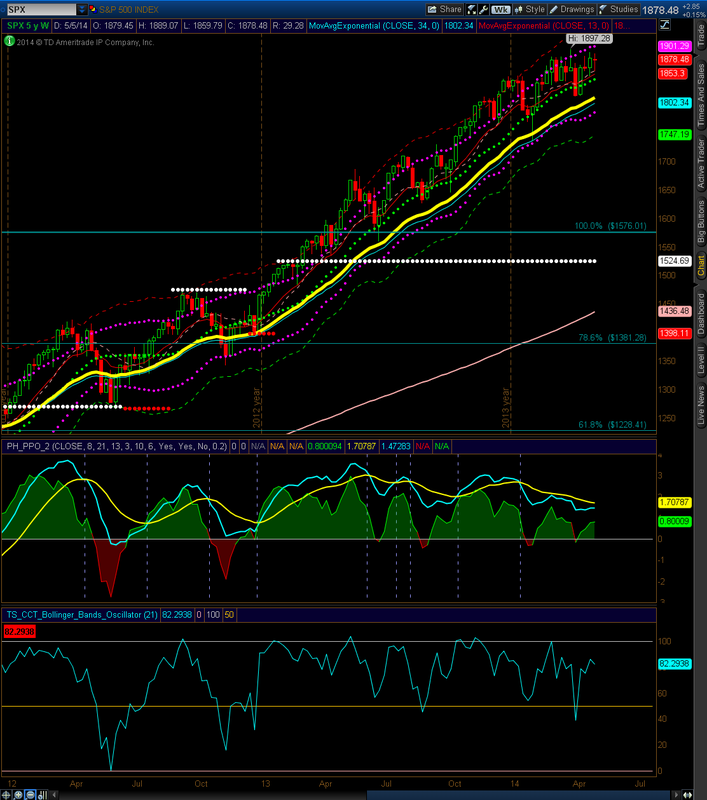 The S&P 500 weekly is showing another weekly close in the upper Keltner channel. Until the market shows sustained weakness, the weekly outlook remains neutral to bullish.